First, what is a “Payday Loan”? Throughout the country, payday loans make up the newest and fastest growing form of short-term lending. 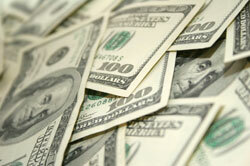 A payday loan is a small short-term loan that is intended to manage the borrowers’ cash-flow gaps between paydays. These are generally done without credit checks and are generally not against a prearranged line of credit. The maturity date usually coincides with the borrower’s next payday hence the name. Payday Loan Bond – Definition: Payday Loan Bonds guarantee that any loan company that has issued a payday loan will follow all rules and regulations set forth by their state of operation. The bond is posted in order to protect individuals harmed by any violations. Ready to begin the bonding process? Complete our online applications for free Payday Loan Bond quote. Current Market for Payday Loan Bonds: Due to some isolated bad business practices by some loan companies in the payday loan industry, some bonding companies and agencies approach this type of surety bond with caution. While many bonding companies are only willing to provide financial backing in exchange for high rates, there are some out there who believe that entire payday loan industry should not suffer as a result of questionable tactics by a relatively small number of loan companies. Some bonding companies are very willing to write bonds at competitive rates for principals who qualify. It is important for you to work with an agency that can help you find such rates, and ultimately save money. About Our Programs: While we offer programs with very competitive rates for qualifying applicants, we also offer different programs with higher rates for those who currently have credit problems, or are otherwise considered “high risk”. If you fall into this latter category, we likely will be able to help you qualify for a bond through one of our Bad Credit Surety Bond Programs.